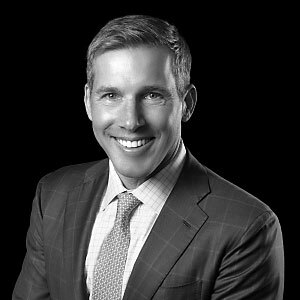 Tony Davis is the President, a Managing Partner and Co-Founder of Linden Capital Partners. He has been involved in principal investing and consulting since 1992. He currently serves on the boards of ProPharma, Smile Doctors and Spear Education and is Chairman of the boards of Advarra, Sage Dental and Virtus Pharmaceuticals. He previously served on the boards of directors for Behavioral Centers of America, Drayer Physical Therapy Institute, Focused Health Solutions, Ranir and Young Innovations. Additionally, Mr. Davis is a member of the Chicago Commonwealth Club, The Chicago Council on Global Affairs, The Commercial Club of Chicago and The Economic Club of Chicago. Tony is a Trustee of the Museum of Science and Industry and is a Director on the Northwestern Memorial Foundation Board of Directors and a member of the Northwestern Memorial Foundation Executive Committee. Tony was selected by the U.S. Department of Health and Human Services Deputy Secretary as a member of the Deputy Secretary’s Innovation and Investment Summit (DSIIS). Mr. Davis holds a Bachelor of Arts with honors in Economics from Northwestern University and an MBA with honors from the University of Chicago Booth School of Business, where he was a Rosett Scholar and serves on the Polsky Center Private Equity Council and as a guest lecturer on private equity.